Tools Of The Trade Stainless Steel 13-Piece Cookware Set Just $24.99! Down From $120! You are here: Home / Instagram / Tools Of The Trade Stainless Steel 13-Piece Cookware Set Just $24.99! Down From $120! This is something you shouldn’t miss at Macy’s! 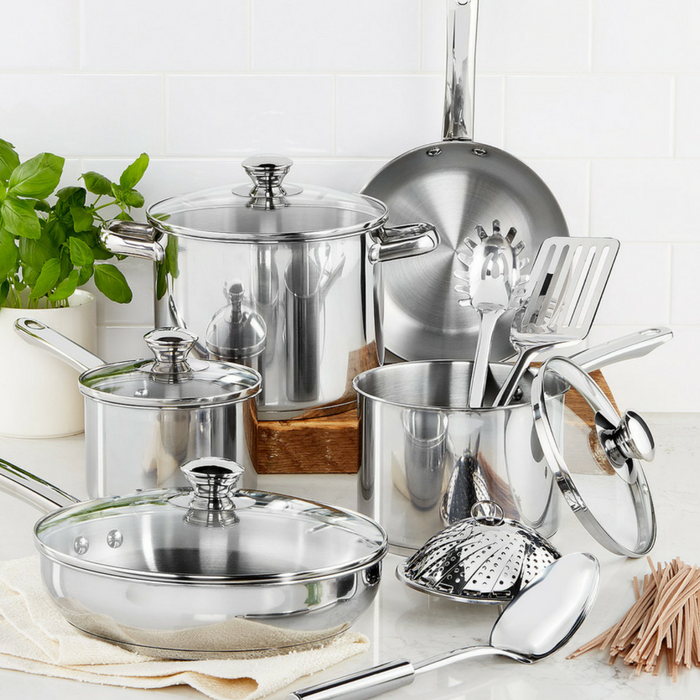 Score this Tools Of The Trade Stainless Steel 13-Piece Cookware Set for just $24.99 down from $119.99 after $10 Mail-In Rebate PLUS FREE shipping for orders $49 and above! Get your kitchen off to a great start with this stainless steel cookware set from Tools of the Trade. The 13 pieces include the basics you’ll use most plus utensils and a steamer. This is great for personal use or for a Christmas present!